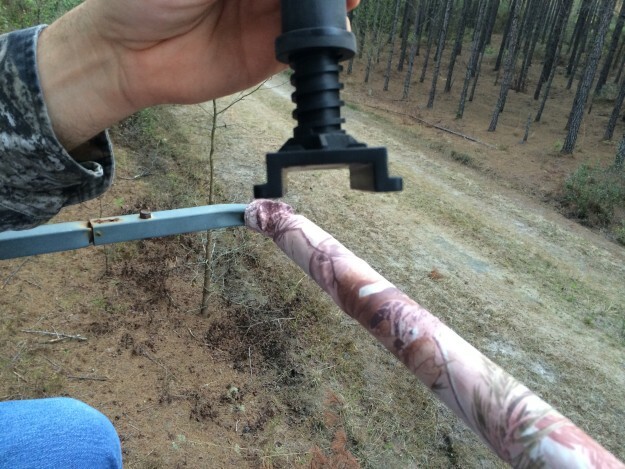 The YPOD gun rest easily adjusts to the shooting rail of your deer stand for a rock solid shooting rest. Having a light-weight, durable and easily adjustable gun rest is a necessity for quickly sighting in your rifle and accurately shooting from your tree stand. The YPOD shooting rest is one of the best out there and it’s not only simple to use, but it’s incredibly durable and light. There will be no more wasting time setting up sand bags and hoping for the perfect fit, the YPOD gun rest adjusts quickly and is as sturdy as anything you’ve ever used. 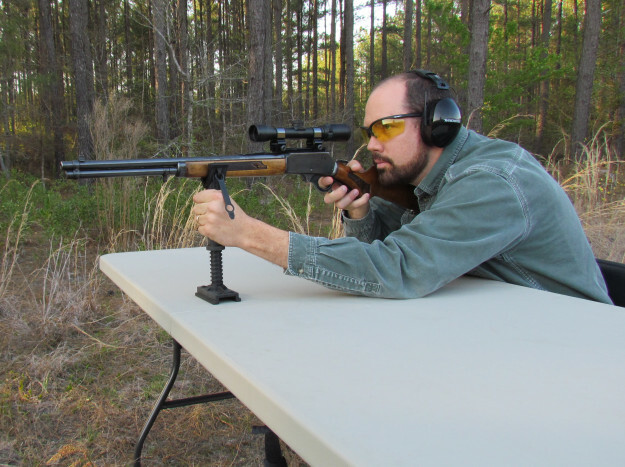 Target shooting at a range is easier than ever with the YPOD rest. It is solid and won’t slip on table surfaces. The YPOD gun rest is small enough to fit in your bag or even your cargo pocket and sets up easily to any shooting rail or rail like on a deer stand. The YPOD also adjusts up and down and swivels, so you’re able to shoot at all angles and have it set up to your height. 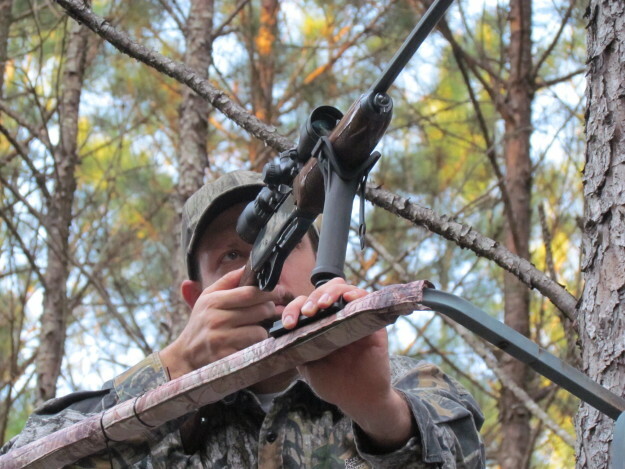 Attaching it to a deer stand gives you stability that you’ve never had while in a ladder and a quick, solid shot that’ll down a big buck fast. 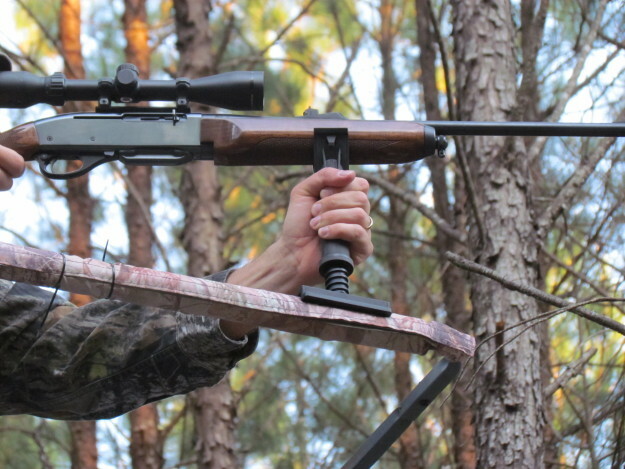 The YPOD shooting rest adjusts from 7 to 11 inches to allow a fit to any shooter’s height. The base of the YPOD is made of rubber so it stays in place without slipping and sliding and is very quiet. This was one thing that i was really concerned about, but the YPOD didnt make any noise and is also plastic, so you don’t have to worry about metal on metal noise. 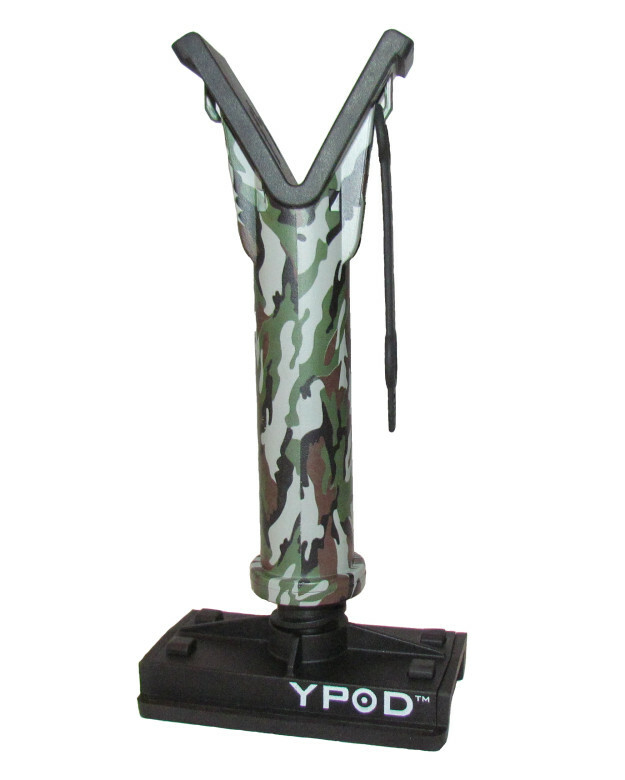 Hunters and shooters will be able to quickly and quietly set up the YPOD gun rest for a target shoot or a hunt. Any size shooter is able to use the YPOD gun rest. The rest adjusts from 7 to 11 inches and can be used with any caliber firearm. At the range, you’ll have a rock solid rest for a table and you won’t even need an extra sandbag. Grouping shots has not ever been easier than with a gun rest that’s as light and easy to use as this one. With a swivel base, the YPOD gun rest raises and lowers quietly and quickly. You can purchase the YPOD gun rest on Amazon for $29.95. You can also check out the YPOD website for more information and to order one there. Don’t miss all of the latest hunting gear reviews on MorningMoss.